In a Chinese restaurant in a Las Vegas strip mall, Austin Ayer tries to act nonchalant as he orders the most controversial item on the menu. The waiter takes measure of the strapping university student, who, with his blue eyes and rosy cheeks, perhaps doesn’t fit the description of a typical shark fin soup customer. The waiter shrugs: “That’ll be $21.57.” Ayer hands over a credit card. He slowly exhales at the ringing of the cash register. 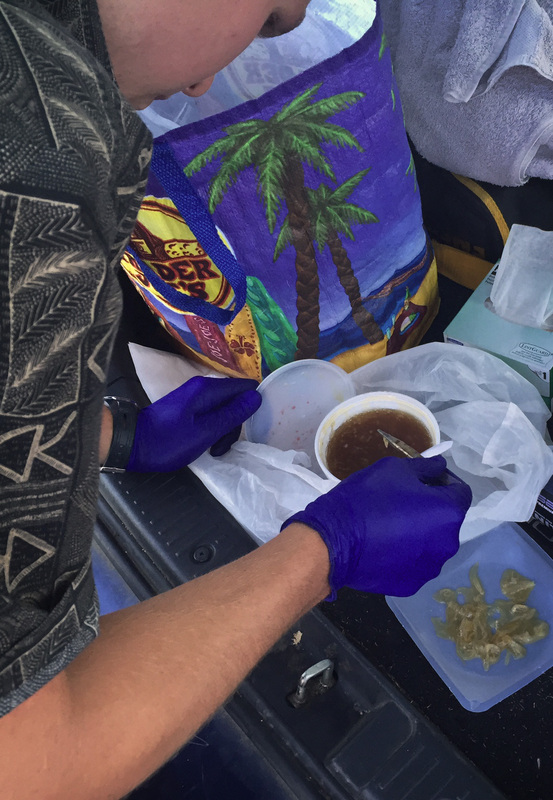 Minutes later in the parking lot, Ayer opens the pint-sized styrofoam container and pours some soup onto a tray in his makeshift mobile genetics laboratory: the back of his Scion hatchback. He quickly gets to work before his shark fin samples are compromised. “I need to get this out of the hot broth and onto ice as soon as possible,” he says. He washes a few of the filaments with a squirt of distilled water and tucks them in a test tube with an enzyme solution for later genetic tests. If all goes well, the telltale DNA inside the stringy bits will reveal whether the soup contained shark species banned under international law. Genetic identification has become faster, cheaper, and more reliable in recent years, with advances coming so quickly that even enterprising undergraduates like Ayer can now fashion themselves as DNA detectives. In the not-too-distant future, next-generation sequencing—which allows machines to read millions of gene sequences in one batch—and the promise of a rapid or instant DNA test will transform much of what we know about life in the sea and how fast we can know it. Combined, these quantum jumps in technology will provide exacting ways to measure if the seafood supply is safe and honest, offer biologists new methods to track elusive endangered species, and empower regulators with instant forensic evidence to crack down on illegal wildlife trafficking or determine the species of fish caught in nets far from shore. And if breakthroughs continue apace, consumers will soon be able to deputize themselves as genetic gumshoes, testing the halibut on their plate to quickly determine if it really is halibut, no matter if it has been filleted, frozen, or fried. At the center of this revolution is an ID system that uses a snippet of DNA sequence data that belongs to a particular species, with the ambition to build a digital catalogue that includes every species on Earth. These distinct sequences, named DNA barcodes after the familiar black and white stripes on products scanned at the supermarket, are stored in centralized databases. When researchers isolate the right DNA sequence from a new tissue sample, it can be compared to all identified species on file to see if it’s a match. So far, more than 11,000 fish have been ID’d and catalogued within the Fish Barcode of Life computerized repository. It’s part of a larger effort, the International Barcode of Life (iBOL), which has analyzed close to five million samples representing more than 525,000 different species on land and at sea. Meanwhile, the race is on to provide a rapid DNA test that Paul Hebert, an evolutionary biologist at the University of Guelph in Ontario and scientific director of iBOL, likens to the handheld “tricorder” used on Star Trek to boldly scan and identify life forms throughout the sci-fi universe. “That’s the world we are heading to,” he says, “reading all forms of life like people read thermometers.” Having this futuristic handheld technology would shorten the time from sample to positive species ID, a system that now requires samples to be sent to a lab for processing and DNA sequencing before they can be compared to a database such as the Fish Barcode of Life. Earlier this year, for example, researchers released the results of the four-year seafaring Tara Expedition, which collected eDNA instead of museum specimens to glean new insights into the interactions of millions of species of plankton, from viruses to microscopic animals. What’s remarkable is that until the 1970s, scientists didn’t know most of these microbes existed in ocean waters because they couldn’t see them, says Stephen R. Palumbi, a marine biologist at Stanford University. “Next-generation sequencing is one of the most astounding breakthroughs in biology in the past 20 or 30 years,” says Palumbi, adding that its potential is just beginning to emerge. Federal government researchers are using it to track elusive porpoises in Alaska and determine if rare spring-run chinook salmon are making it into the headwaters of the Columbia River. Some scientists are collecting eDNA from ocean water to assess every species that lives in a marine reserve. Others are experimenting with paring eDNA, which identifies which fish are present, with acoustic data from fish-finding sonar to estimate their abundance. Such experiments seek a non-lethal way to survey fish populations, rather than the traditional method of catching fish in a trawl net and counting them when they are dead. It’s possible that one day soon, a fisheries manager who wants to check on commercial catch could rinse a fisherman’s net and scan the rinse water for a genetic signature of every kind of fish that had been caught. That’s on Palumbi’s long to-do list. “Extracting the data is easy,” he says. The hard part, he adds, is finding a commercial fisherman who will allow an outsider to wash his nets for genetic scrutiny. Initially, their methodology and findings were denounced by the whaling industry, yet Japan’s government soon cracked down on contraband and mislabeled meat. “When we started testing whale meat, the process was tedious and laborious,” Palumbi says. “All that is changing with the new technology. It’s easier, cheaper, and more reliable. A high school freshman could do it, if we showed her how.” But could he teach a journalist to do it? My stint as a temporary lab tech began two months before I went shark fin shopping in Las Vegas with Ayer. I’m driving north toward Pacific Grove when my phone chirps with a text from Palumbi: “Don’t forget your homework.” It’s late and the sushi bars will be closing soon, thwarting my assignment to deliver fresh sushi for sequencing the next morning. A Japanese restaurant beckons from alongside the highway, and I find myself sitting at a sushi bar directly beneath the stern gaze of a muscular sushi chef. Palumbi has his students test their sushi as a primer to DNA sequencing. He says it’s remarkable how often salmon turns out to be trout, flounder gets sold as sand dab, various white fish are billed as cod, and red snapper, or even halibut, is switched out for cheaper farmed tilapia. Restaurants, especially sushi bars, are apparently the worst offenders. Palumbi’s instructions? Bring at least six different types of fish to the lab, and keep them fresh. The next morning, the Palumbi Lab emerges from the fog in the heart of the Hopkins Marine Station, which is perched on a rocky point overlooking the churning Pacific Ocean next to the Monterey Bay Aquarium. The lab is already full of busy students by the time I arrive at 8:30 a.m. with my samples on ice. For the rest of the day, I follow Palumbi’s tedious 19-step recipe for preparing tissues for DNA sequencing. It begins with tugging on purple gloves, and using sterile needles to dig out a tiny piece of fish flesh—smaller than a grain of rice—and easing it to a test tube filled with solution. It’s delicate work and, after a half-dozen of these sushi surgeries, I stick myself with a sharp needle and bleed all over the lab. Aside from helping me staunch the bleeding, Palumbi is a hands-off instructor. First, I dose the samples with the enzyme proteinase K to chemically chew up the tissue and release the DNA. Then, I follow more than a dozen more steps before I load the tubes—now filled with clear liquid—into a sophisticated apparatus the size of a home bread machine where they’re “baked” with the chemical instructions to make thousands of copies of the tiny piece of DNA for easier identification. All this has to happen before I can send my samples for sequencing. The results come back a few days later via email: each sample translated into a long string of the letters A, T, C, and G—abbreviations for the nucleotide bases that are the building blocks of DNA—each sequence between 570 and 650 characters long. It looks like a child has maniacally typed the letters in a random fashion over and over. One by one, I cut and paste the results and enter them into the Basic Local Alignment Search Tool (BLAST) on the National Institute of Health website, to see what I had actually eaten. It takes only seconds to compare the sequences to all of the DNA data collected around the world. The salmon checks out, as do most of the other pieces. Then I load up the sequence for the ono, also known as wahoo by sports fishermen who revere this big, tasty fish, and send it to BLAST. Six seconds later, I have my answer. It isn’t ono, but a snake mackerel called escolar that has earned the nickname “Ex-lax fish.” Italy and Japan have banned escolar because it contains gempylotoxin, an indigestible wax that can bring on violent cramping and orange diarrhea. Escolar is often sold as white tuna or by other names in sushi bars, according to conservation organization Oceana’s genetic testing in 2013, which showed a third of seafood was mislabeled in American restaurants and markets. The US Food and Drug Administration (FDA) has not banned escolar, but advises against its sale. The FDA got more involved in seafood mislabeling in 2007, when toxic pufferfish from China was sold as monkfish, sickening people and sending at least one to hospital. Since then, it has installed DNA sequencing machines in nine regional laboratories, and set up its own DNA library of the 700 or so most commonly eaten fish—with each barcode tagged to a species identified by expert taxonomists. Rigorous chain of custody is required so federal investigators can prosecute fraudulent mislabeling with DNA evidence that will stand up in court. Bait-and-switch tactics, such as substituting cheap Vietnamese farmed swai, similar to catfish, for more expensive “red snapper,” remains common among imports that now make up more than 90 percent of US seafood consumption. Federal inspectors struggle to keep up with the flow of fish, much of it arriving after being processed at sea and hard to visually identify. The DNA analysis helps, but the process can be slow and cumbersome as inspectors collect samples, bring them to regional labs and then wait—for days or longer—for the results. “I would love to see a portable sequencer and rapid extractors,” says Jonathan R. Deeds, principal investigator of the FDA’s genetics project to combat fish fraud. In the meantime, the FDA has experimented with the University of Guelph’s LifeScanner App, which could quickly transmit test results from inspectors carrying tablets or smartphones to regional labs and FDA headquarters once such rapid DNA tests become reality. Government and private industry are racing to further technologies that will ultimately help to positively identify fish and other species by their genes on the spot. The US Army’s biosecurity labs at Fort Detrick in Maryland, for instance, are researching methods to instantly identify anthrax and other pathogens. And commercial biomedical research firms are working on the technology, hoping to cash in on quick diagnoses for common bacteria and viruses that plague human patients. There’s even an early version of a handheld unit, developed by Oxford Nanopore Technologies in England. A cottage industry has emerged, with genetic testing companies offering to help restaurants, fishmongers, and seafood distributors clean up their supply chain to avoid running afoul of the law or facing hefty fines. And some researchers are identifying more elaborate genetic markers that go beyond ID’ing the species to differentiate among various populations so scientists can determine where the fish are caught. A consortium of European researchers uses genetics to trace the geographic origin of cod, for instance, whether it’s caught legally or plundered from overfished waters. Kathy Moore, forensic biologist for the National Oceanic and Atmospheric Administration (NOAA) in Charleston, South Carolina, expects that eventually it will become cost-effective to identify genetic profiles for an individual high-priced fish, such as a big blue fin tuna—essentially having a DNA tag that will follow the fish from the boat to the plate. Moore, who works with a presidential task force to combat illegal fishing and seafood fraud, has spent decades helping prosecute sea turtle poaching cases, sometimes relying on little more than swabs of turtle blood off baseball bats, knives, and spears that were matched against NOAA’s own curated DNA database of protected species. All these genetic tests are complex variations of what I am doing in the Palumbi Lab. During my day there, I work alongside Austin Ayer, who is diving into his shark fin science project. While I process my sushi dinner leftovers, he snips and prepares tiny pieces from fins left in the lab’s freezer from when Palumbi used to send his students to Chinatown in San Francisco to purchase shark parts for DNA identification. That was before California banned their sale in 2013, a reaction to the barbaric practice of cutting off a shark’s fins and throwing the writhing animal overboard to bleed to death. Shark populations have plummeted around the world, in large part to meet the demand for shark fin soup, a luxury dish in Chinese culture that has become a symbol of status and wealth. Inspired by Palumbi’s success in shaking up the Japanese whaling industry, Ayer wanted to do something similar, but only had a summer to tackle a project for his senior honors thesis and still graduate on time. So he settled on trying to replicate the pioneering methods of a study published in February 2015 that showed that even in places where shark fin soup is legal, it often contains fins from sharks that are illegally traded. The study found fins of two types of hammerheads in soup purchased in the United States, and managed to identify seven out of eight types of endangered sharks—including whale sharks, basking sharks, and great whites—that are illegal to ship across borders without a permit. Palumbi approved Ayer’s project. Yet one hurdle remained. When California banned possession of shark fins, getting samples was no longer a convenient matter. So to find the closest place that has a concentration of restaurants with customers willing to shell out handsomely for a high-priced status symbol in a small bowl, Ayer needs to cross state lines. Before Ayer picks me up along the eight-hour drive to Sin City, he calls every Chinese restaurant in Vegas he can find that reputedly sells shark fin soup. Few show shark fin soup on their online menus, yet, in reality, most of them offer it. Quietly. To those who ask. Prices range from US $20 to $300 a bowl. But would they sell it to him? The first test comes in the Chinese restaurant in the Vegas strip mall. It’s 37 °C and Ayer opens the restaurant’s double glass doors to a blast of air conditioning. The restaurant is nearly empty. “We are about to find out if this is going to work,” Ayer says under his breath. After making a successful buy and processing the samples in the sunbaked parking lot, Ayer repeats the routine at another local establishment in Las Vegas’s Chinatown. Then he is ready to hit the Strip. Ayer calculates that his research grant will cover 11 soup samples, provided he limits himself to mid-range prices, nothing more than $70 a bowl. It’s time to go to a high-end joint where discriminating customers would insist that shark fin is the real deal. Oversized chandeliers, obsequious waiters, and white tablecloths greet our arrival at Jasmine, the Chinese restaurant inside the Bellagio hotel and casino. Plush curtains and valances frame the window overlooking the lighted fountains that dance in the desert night to synchronized music. Shark fin is nowhere on the pricey menu. Ayer orders spring rolls to buy a little time. When a waitress comes by, Ayer learns the restaurant offers three versions of the soup: the basic, for $60, and the deluxe with a two-ounce clump of shark fin tendons for $150, or a three-ounce clump for $180. Not a high roller, Ayer orders the basic. As soon as it arrives, Ayer receives a text from a friend who needs a pickup at the airport. He snags the server and asks for a to-go cup. The soup is whisked away and returned in a fancy white cardboard box with Bellagio’s looping serif logo. Within minutes, he’s processing the sample in the back of the Scion in the Bellagio’s stifling hot covered parking lot, breathing fumes of the trapped auto exhaust. We’ve picked up Ayer’s friend and it’s getting late, but Ayer is hoping for one more sample. The Beijing Noodle No. 9 at Caesars Palace is just across the street. It’s almost closing time and the hostess does not want to seat us, but then a gregarious server wearing black-rimmed attitude glasses allows us inside, asking us to order quickly before the kitchen shuts down. He recommends the Singapore noodles and General Tso’s chicken. We accept, but Ayer also asks for shark fin soup. It isn’t on the menu, but the waiter confirms it’s available—a small bowl for $99 and a bowl with a fin for $199—but he has some advice: “Skip it. It’s not worth it. If you asked for it, I don’t think I’d sell it to you. They cut off the fin and let the shark die. It’s so mean.” Ayer skips it. The price is way out of his range. We close down the Beijing Noodle, head to the Strip for a midnight beer, and then crash for the night at a budget motel. The next morning, we part ways and Ayer spends that day and evening collecting more soup and samples before making the long drive back to the Pacific Grove lab, two ice-packed coolers with his carefully preserved samples in the hatch. The global demand for shark fin soup is driving scalloped hammerheads toward extinction. This shark, with its bizarre head shaped like a sci-fi spaceship, is targeted because its large fins are loaded with ropy strands of collagen that are prized by consumers. The restaurant probably had no idea it was serving the fin of an endangered shark. The distributor was also likely unaware, as were perhaps others in the supply chain that passed through Hong Kong, a hub of the global trade. Short of a global ban on shark fin soup, how can the sharks most threatened with extinction be saved? And can genetics play a role in the solution? Palumbi considers genetics an insightful tool that can penetrate the most opaque aspects of the seafood market, whether properly identifying whale meat in a Tokyo display case, a box of fish fillets arriving on the docks in Los Angeles, or a fin swimming in a bowl of soup in Las Vegas. Research for this story was made possible by a grant through the Earth Journalism Network. Kenneth R. Weiss, a Pulitzer Prize-winning journalist, writes on topics at the intersection of science, environment, and public health. Much of his overseas reporting in recent years has been financed by grants from the Pulitzer Center on Crisis Reporting and the Earth Journalism Network. He is based in Carpinteria, California. 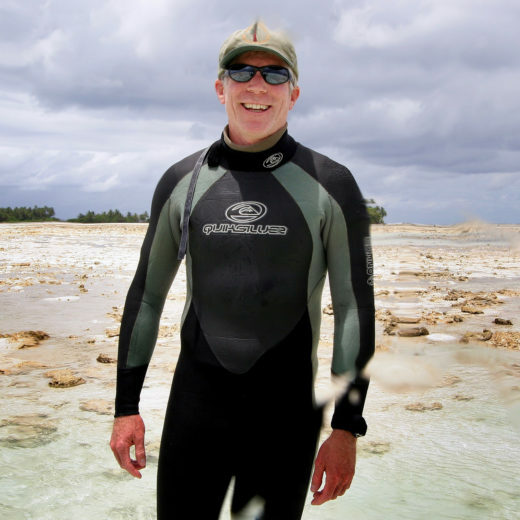 Cite this Article: Kenneth R. Weiss “Seafood CSI,” Hakai Magazine, Mar 8, 2016, accessed April 26th, 2019, https://www.hakaimagazine.com/features/seafood-csi/.